No. 71, Jalan Tabla 33/21, Shah Alam Technology Park, Section 33, 40400 Shah Alam, Selangor, Malaysia. DC Hydraulics Sdn Bhd was founded in 1996 by Mr. Dino Chew, who has been in the business for over 15 years. 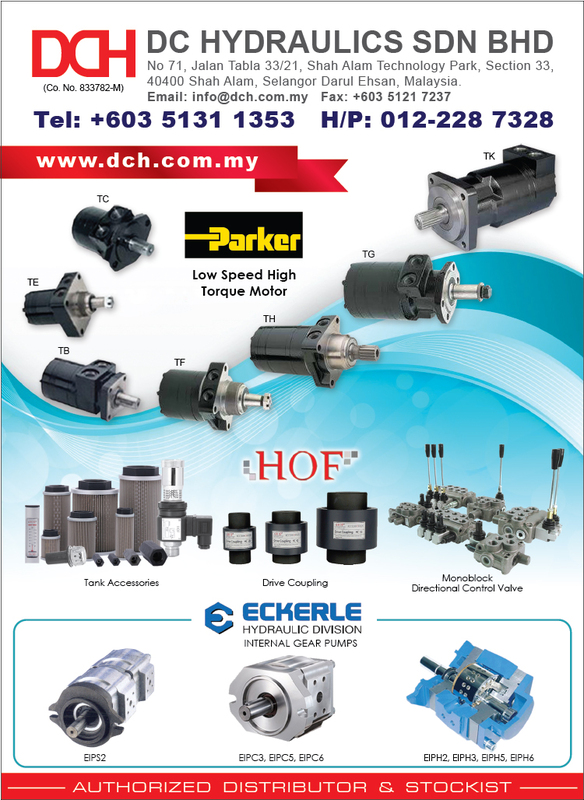 At DC Hydraulics Sdn Bhd, we supply a wide range of hydraulic components and system solution. We strive to offer our customers high quality hydraulic products and system solution at competitive prices. We are proud to represent PARKER/Ross range of hydraulic motor products, HOF Hydraulics in hydraulics tank accessories, pump/motor coupling and mobile valves.